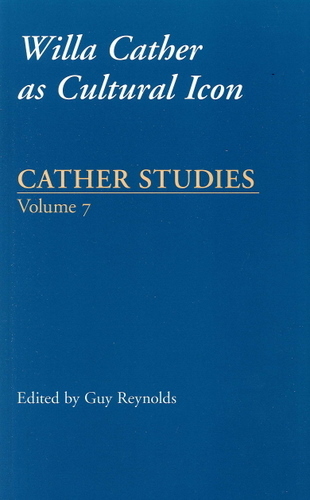 Volume 7 of the Cather Studies series explores Willa Cather's iconic status and its problems within popular and literary culture. Not only are Cather's own life and work subject to enshrinement, but as a writer, she herself often returned to the motifs of canonization and to the complex relationship between the onlooker and the idealized object. Through textual study of her published novels and her behind-the-scenes campaign and publicity writing in service of her novels, the reader comes to understand the extent to which, despite her legendary claims and commitment to privacy, Willa Cather helped to orchestrate her own iconic status. Guy Reynolds is the director of the Cather Project at the University of Nebraska-Lincoln. He is the author of Willa Cather in Context: Progress, Race, Empire and Twentieth-Century American Women's Fiction.